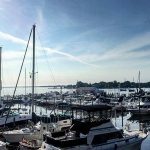 Shore Point Marina strives to have an environment that is welcoming to both boaters and their guests. Whether you are a slip customer, a first-time boat buyer, or a gas customer, you will be treated in a courteous and professional manner. Our goal is to build long-lasting relationships with our customers and to ensure a pleasant and memorable experience both on and off the water. As a customer, you can expect much more than just a boat slip. Our marina offers a wide array of amenities to complete your boating experience. 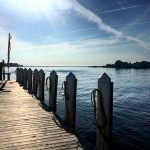 Along with this, you can expect a laid back atmosphere amongst the slip customers, making Shore Point Marina a great place to enjoy your boat, without even leaving the dock. Our property provides 205 slips on both floating and fixed docks that are able to accommodate boats up to 57 feet. In addition to this, jet ski docks are available. Available at each slip for your convenience are 30-50 Amp shore power, cable, wifi, and dockside water. For those visiting, we do provide transient slips at $2.00 per foot, plus electric. If you would like to book a slip, you can do so by calling us at (732)-244-2106 or emailing us. We have a fuel dock with both Valvtect marine gasoline and Valvtect marine diesel high-speed pumps, and pump-outs. Slip customers, Boat U.S. members, and active captains, with a valid card, receive 10 cents off every gallon of fuel. In addition, pump-outs are included in slip customers’ benefits. 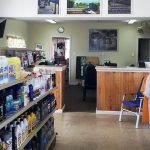 In addition to our office, we have a ship store with all your boating needs, as well as apparel, snacks, drinks, ice, bait, etc. We are equipped with a 20-ton travel lift and hydraulic trailer capable of hauling boats up to 46 feet. Located adjacent to our clubhouse, we have a swimming pool with sun deck for marina customers and their guests to enjoy. 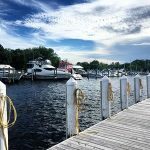 At Shore Point Marina, customers and guests are minutes away from a wide variety of shops and restaurants, both by boat and car, allowing for a convenient and relaxed stay. Upon entering the marina, we have a recently renovated clubhouse with heads, showers, laundry, and a large clubhouse facility that is available for rent. Equipped with a team of experienced mechanics, we provide complete mechanical repairs for both gas and diesel engines. Repairs we perform include fiberglass and gel-coat repair, electrical service, installation of electronics, hauling and blocking shaft and propeller repair, and basic marine services such as bottom painting and waxing. Estimates available upon request.